…oh yeah, and Happy New Year Folks! We are having a 50% Off New Year and Moving Sale!!! Help spread the word and buy a few things while youâ€™re at it… câ€™mon, we know you’ve your eye on one of those naughty onesies. 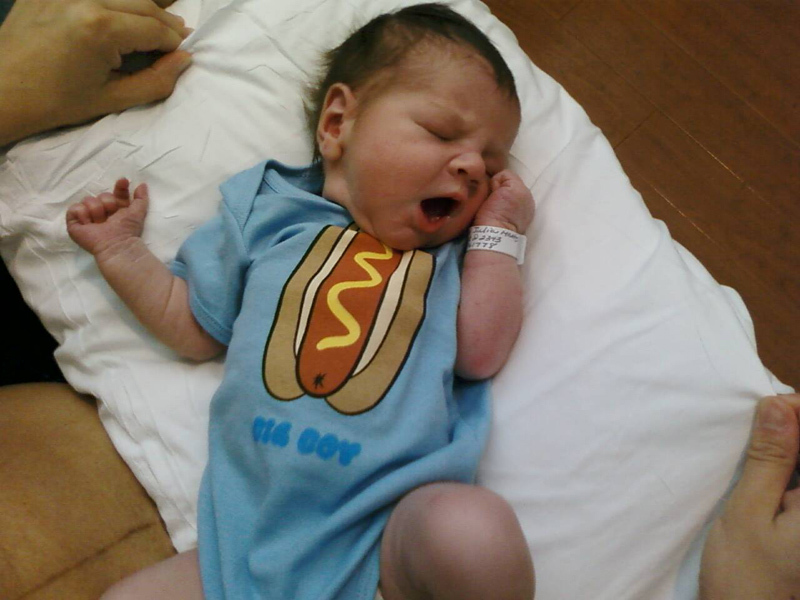 Congrats to our friends Julia and Drew on their baby boy, Will! Weighing in at 8 lbs and 13 oz, that’s technically a BIG BOY! Whoa big fella, don’t eat the hot dog, it’s just a drawing! This is the aftermath of what they call a “sink job”. Here are a few neato widgets to help keep track (and others up to date) on the status of your unborn. Although the color option seems to be stuck on Caucasian… hmmm. Today marks the first day back to school for little ones (dreaded by kids, anticipated by parents) and the day Prpl Nrpl starts shipping orders out to hungry customers. So for those of you who havenâ€™t already placed your orders, drop those kids off at the bus stop, indulge in a little online shopping and get a Prpl Nrpl in the mail. 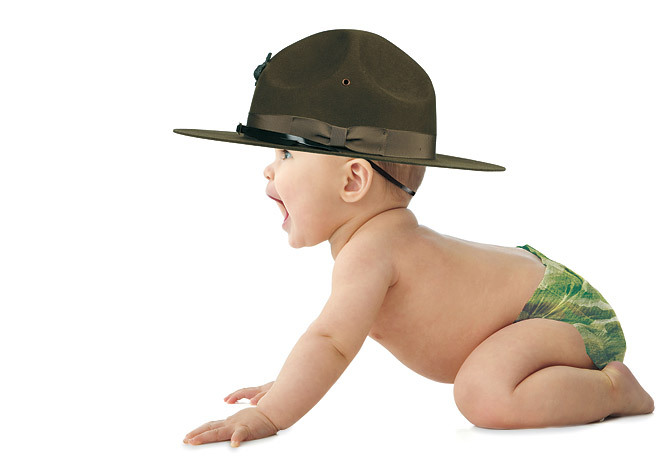 As an added incentive (and for a limited time) we will ship any number of Baby & Kid items per order for just $5. Help support and stock up on Prpl Nrpl. It’s only $5 to ship! We are pleased to announce that our online shop is fully operational and we are now taking pre-orders for our debut baby onesies and toddler tees. We decided to design a line of baby and kids apparel because there really arenâ€™t too many funny baby and kids clothes out there. And the ones that are funny, could be better. We had to do something. The concept behind our baby and kids apparel is to produce genuinely funny designs that are as funny and real as the babies and kids who wear them. They burp. They puke. They fart. They poop their pants. And they make no apologies. Babies are humans in the purest form and finding humor in their raw behavior is one of the joys of parenting. Our clothes are for both the children and parents to enjoy. Well, maybe more for the parents. But, as you will see, we cover the gamut from â€œcutesyâ€? to â€œbaditudeâ€?, with each design embodying what Prpl Nrplâ„¢ is all about – a twist of wit. So, without further ado, we introduce to you our debut line of baby and kids apparel. Enjoy.